After Baton Rouge, Louisiana and Falcon Heights, Minnesota there was Dallas, Texas. After rogue cops unceremoniously killed two Black men, a deranged shooter killed five police officers. The shooter, identified as Micah Johnson, reportedly said that he wanted to kill White police officers. Too many commentators referred to his middle initial “X.’ in an effort to be more racially provocative. Too many, like the unrepentant racist and former New York Mayor Rudy Giuliani, used the shooter’s actions to excoriate the Black Lives Matter Movement. Has former New York Mayor Rudy Giuliani ever read a history book? Does he understand that if revenge were ever a motive in Black/White interactions it would have been all over but the shouting between 1865 and 1876? Formerly enslaved people were hopeful about emancipation, but caught between hope and despair when Black Codes were imposed, when people were lynched for simply asserting the right to walk on the sidewalk, when soldiers were lynched, in uniform, because they did not defer to fellow citizens. Even though Constitutional amendments were passed to abolish enslavement, rigid Southern attitudes imposed a quasi-enslavement that persisted until the civil rights movement, and White supremacist attitudes that persist until today. When our Constitution was written, John Adams lamented that the issue of enslavement was a conundrum that his generation was imposing on subsequent generations. When the 13th Amendment was passed, there was no playbook to detail how our nation would transcend enslavement. We have never taken the time or energy to condemn racist attitudes, assuming they would simply go away. They have not. And millions of African Americans have righteous resentment about the many micro-aggressions (not to mention murders) that our community experiences. The micro-aggressions of White skin privilege are minor compared to the macro aggressions of a rogue police officer. Have any of these people ever read a history book? Do they even understand that if revenge were a motive, it might have been extracted in 1866, not today? The process for ending enslavement was imperfect. Too many Southerners cleaved to the notion that people of African descent were inferior, and then they passed laws to enforce unequal status. Jim Crow laws and Black Codes, prohibitions against property ownership and voting, unequal access to education, not to mention the constant nightriders, the granddaddies of contemporary rogue police forces, all existed to enforce subjugation and fear. To be sure, we have come a long way since 1865 and since 1876. But the fact that, in contemporary culture, you still have White people who will wrap themselves up in a Confederate flag suggests we have not come quite as far as we must. People are talking about an “honest conversation” about race now, but the conversation should have taken place more than a century ago. Now, there is far too much denial for an “honest conversation”, and I despair that conversation is grossly insufficient if it is not coupled with action. Through halting action and corrupt compromise, the Recon­struction of the United States never happened. We are sowing the bitter fruit of a broken Reconstruction today, with too many racial attitudes ossified. Black Lives Matter is not a racist phrase. It is the manifestation of the conversation that should have taken place after the passage of the 13th Amendment. 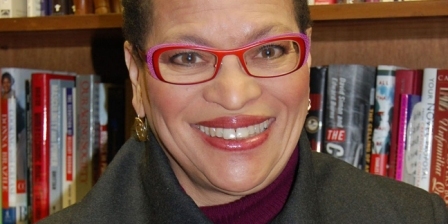 Julianne Malveaux is an author and economist. Her latest book “Are We Better Off? Race Obama and Public Policy” is available via amazon.com for more information juliannemalveaux.com.